12 non-Czech owners of 15 apartments at Residence Nefeli which is situated in Vinohrady, Prage 10 continue to trust Ellin s.r.o. as their property managers for over 7 years. 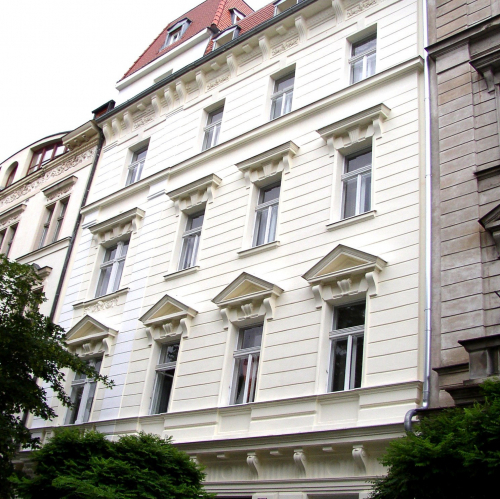 Our clients are investment property owners in Prague living abroad, which makes it necessary to engage an "on hand' management company to protect their best interests. Ellin has been chosen and employed as a hands-on high tech full-service property management company to act in their behalf from the time the properties were bought. Since then, we provide our clients with the highest level of quality management services. We are committed to maximizing the value of our clients' properties through comprehensive and effective management services at a minimum cost. At the same time, we treat our clients' tenants with respect and provide them professional, prompt, and courteous service. The units are being occupied on an on-going basis and the tenants are being carefully selected. Rents are being collected on time and their disbursement is being made properly and promptly. Our clients have the peace of mind knowing that their property will be well-maintained and that service and repairs are available with a simple phone call. Our service and support crews are available 24/7. Whenever repairs have been necessary, Ellin attended to them with dispatch and the costs in that area have always reflected attention to costs in clients’ behalf.